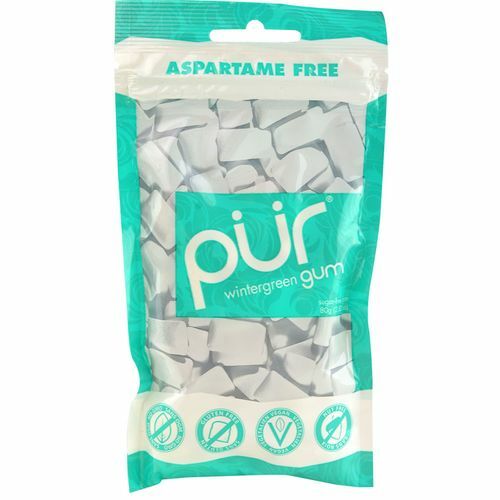 The next time you're looking for a fresh and revitalizing gum with no aspartame, try Pur Gum. This product is non-GMO, vegan and nut-free for a chewing gum that is better for you than some of the other leading gums. Pur Gum is sweetened with xylitol instead of aspartame, and it also includes antioxidant benefits and a crisp flavor. While many leading chewing gums rely on aspartame as a sweetener and other unnecessary ingredients, Pur Gum utilizes xylitol derived from corn fiber and includes no chemicals or aftertaste. Toss out your typical chewing gum in favor of Pur Gum. Get your box today at eVitamins for a low price, and enjoy great savings!